For not the first time, I’ve contemplated taking some time off from Facebook. I find myself just randomly scroll the feeds, looking at everything that has been posted, reading the comments, looking at pages and pictures and stuff and stuff and stuff. Knowing I spend too much time on social media and Facebook in particular. I sometimes miss the old Facebook. The one that used to be filled with friends with status updates about what they are doing and filled with pictures of their fun adventures. The old Facebook where, even when apart, you could still be a part of your family and friends lives. The new Facebook has progressed so far from that old scene, with most posts made just a shared post from another page. Is there no original content anymore? I was also guilty of sharing posts from other pages, however, I did try to have original content about my life on my timeline. I use Facebook for keeping in touch with friends and family. I don’t have a gigantic list of friends on there, I don’t use it for making connections, just to stay in touch with friends and family. The pages though, I think that’s what gets me stuck in the never ending scrolling loop. There are so many pages that I like and follow. Between the pages and the groups there is always something new to look at, then you throw in Facebook marketplace. Yikes! I was stuck. Help! I needed saving. For me, I go all in, and like when cutting out desserts from my diet when I need a reset on how many sweets I’m eating, I need to go cold-turkey. I don’t want to give up Facebook permanently, but I did need a way to reset how I was using it. So like anything in my life when I need a reset, I went cold turkey. I figured a three week time limit on my cold turkey would work quite well. My cold turkey is just for Facebook, not all social media. I still enjoy scrolling pictures on Instagram (although their newer algorithms that don’t actually show you stuff in chronological order drive me crazy), I don’t find it to be the same sort of time vortex that Facebook is. I also didn’t want to stop twitter, but I basically have twitter to enter contests, so that’s a different story. I thought that it might be interesting to keep track of my thoughts and feelings during my three week self imposed Facebook blackout. Who knows how long I might keep this up, but one of the things I’m hoping to achieve with my blackout is to regain some of my lost creativity, so here goes! Proclamation made, I’m taking time off from Facebook. I posted my last status updated and logged off. Sanctification in every click of the mouse button, knowing I was taking a break from the social media giant of Facebook. OH DEAR GOD, WHAT HAVE I DONE?!?!? Maybe I’ve just made a gigantic mistake. It’s only been a couple of minutes, I can quickly log back on and delete my post before anyone sees it. I don’t, just one of the reasons I made a proclamation, because I knew that these would be almost instantaneous feelings I’d have. If I made a proclamation, I’d be setting myself up for success. Maybe I should write about my three week Facebook blackout and that will help with the almost instant regret of making that post. Initial paragraph finished, feeling a little better already and relieved that I wrote out a reminder to myself why I was doing what I was doing. This no Facebook thing is working out pretty well. I can already tell you for sure once my three weeks is over, I will be going back onto Facebook, but with very different intentions. I don’t miss all the postings from companies. The ones I really want to see never show up in the algorithms anyways and the ones that I don’t really care about seem to post fifty times* a day and I get sick of seeing them anyways. I have been keeping up with Instagram and Twitter, so those companies and small business I like to follow tend to have a presence on at least one of these two platforms, so not having Facebook doesn’t seem to be a big deal. What I am missing though is the connection with my friends. There is definitely a bit of a disconnect, not seeing what they are up to daily. On the other hand, it has made my in-person get-togethers more personal. When I am back on Facebook, I plan to un-follow everything except for my friends. I really don’t need to see businesses posting the same thing on three different social media platforms, it’s sucking my energy away. I do feel like a bit of my creativity has started to come back. I don’t know why I had been feeling so uncreative and unmotivated lately, but now I do know my endless scrolling on Facebook was definitely a contributing factor. Since I’ve logged off Facebook, I’ve actually completed a bunch of stitches on a crochet project that I’ve been working on for ages. I have also signed up for an art class Emily Carr University that I have been contemplating taking for almost two years. My house is slightly more organized and I have also done a bunch more baking and cooking at home, more than I have in a long time. The best part was that all the baking and cooking was fun to do it and it didn’t feel like a chore (like it had been feeling). Another thing that I’ve done since my Facebook disconnect is that I’ve finally decided on a new name for my creative side Why I need to have multiple social media accounts for things, I don’t really understand, but I do like to have my personal daily stuff under a separate account from my creative stuff and my cats. Sure there is going to be some overlap, but for the most part I wanted to keep them a little bit separate. I used to post my creative stuff under the name: The Artisan Penguin. Some time back though, I dropped this name as it didn’t feel right. I’m not a artist and I somehow felt like I was lying using the word ‘artisan’ (which actually just means a worker in a skilled trade, especially one that involves making things by hand). Sure, I was making things, but I was also writing things too, and any of the writing I was doing just didn’t, to me, feel like it fit with ‘artisan’. In a flash of inspiration the word hodgepodge popped into my brain. I’ve used it before to describe why my website is such a mixture of different creative things. Suddenly I realized I had something. Now how to add the word penguin in there, since I am determined that it will be part of my creative social media stuff. Potpourri! It basically means the same thing as hodgepodge. This was how my new social media name of Penguin Potpourri Creations was created. So far I’m really liking it, and it doesn’t make me feel like a fraud. Anything I make or write or craft is a creation, a potpourri of creations. It feels pretty right. Let’s see how it goes. Oh ya, I was writing about my time off of Facebook. To be honest, after writing my post of Day 6, I got bored of writing updates how my social media boycott was doing. It’s now been a month since my boycott was completed. I did go back onto Facebook one day earlier than originally planned, but that was because there were some details that I needed from my snail mail group. After the first couple of days of my Facebook blackout, it got pretty easy to not be checking it out all the time and somehow I didn’t feel tied to my phone quite as much. Honestly it was a relief. Now that I’m back on Facebook again, I have a new outlook on how I’m using it. Once the urge to look ALL THE TIME was almost overwhelming, now I feel that I’m using it the way it’s intended, to stay connected with my friends. I pop onto it about twice a day to check things out, spending no more then 10 minuets per visit. It’s a nice balance between using it and abusing it. Should you do a social media boycott? I think that if you are looking at your phone all the time to see what notifications have popped up, you should take a step back from social media for a few weeks, just to reset. Don’t think you look all that often. Do a one day challenge where you don’t look at all. You will notice that the urge to look happens a lot more frequently than you’ve realized. For me, the three weeks I took off from Facebook were really helpful. I am no longer finding myself scrolling endlessly to see what new post there is, waiting for an interesting notification. I still use Facebook, I do find it useful for events and such, but now I will pop into once in the morning and again in the evening to see if there is anything I need to know. A much more healthy way, for me, to use it. Probably the biggest thing that happened with my disconnection from Facebook was my creativity started to return. After years and year of thinking about it, I finally signed up for some part-time evening classes. More on that in my next post. Star Wars is one of my favourite things and this year to celebrate Star Wars Day I hosted a Star Wars trivia game for my friends. It was quite a lot of fun and everyone had a great time. I could have just found a random trivia game already made up and ready to go, but instead, I decided to write my own questions. I did a bunch of research, to find a nice balance of questions between classic Star Wars, prequel Star Wars and Star Wars current of May 4, 2018. Most of the questions are cannon, but I just had to through in a few questions that have Legends based answers. I also verified all of my answers on Wookipedia. All in all it took me quite a bit of time, but totally worth it. After the trivia night, I didn't want all my time to be lost forever, only to be remember by those who attended the event. I couldn't think of a better way for my efforts to live on then to write about it and provide my readers with the trivia quiz that I put together. Use if for your own fun, or your own trivia games. There are three PDF files that you can download for your own use. They both have the same questions and answers. One of the files has all the questions followed by all the answers, designed so you can view/print it and fill it out on your own (Star Wars Trivia Q&A). The other file is designed more if you are hosting an event (Star Wars Trivia Host Sheet). It has all the questions and answers together. This is so you can read out the question, and later, when reviewing the answers, be able to easily re-read everything out to your crowd. The third and final PDF is a blank answer sheet. This is what I handed out to my friends to write out their answers. I am super excited for the upcoming 2018 Creative Ink Festival. I thought it would be fun to write a little bit about the festival, and what I plan on doing there. What is the Creative Ink Festival? The Creative Ink Festival is a weekend long event full of inspiring panels, presentations and workshops. Designed to be inclusive for all levels of writing the festival is a way for you to learn and motivate your writing, in whatever form it takes. This year's festival takes place from May 18 - 20, 2018 at the Delta Burnaby hotel. Just on the border of Vancouver and Burnaby, BC. This is the perfect type of festival for someone like me. Someone who dabbles in writing but is interested in exploring the art form more. I've always been afraid to attend anything writing based, thinking that I would be looked down at because "I'm not a real writer". The Creative Ink Festival is so warm and opening and welcoming and everyone who attends is there to teach and to learn. Not once did I feel like I didn't belong. I first found out about the festival as my good friend, Sandra Wichkam, is the brains and creative genius behind it. My first experience with the festival were so rewarding that I wanted to see the festival succeed even more than it was already doing. I now volunteer my time to Sandra, doing pretty much whatever she asks of me. Helping Sandra at the festival the last few years and the positive energy the festival has lead me to creating my own website, The Artisan Penguin. I was so inspired that I jumped in head first into blogging. Mostly I write book reviews, but I do post the occasional random musing. I also have a few story ideas rattling around the old brain, that may one day make their way out onto the real world. That's where The Creative Ink Festival comes into play. I've never taken any sort of writing class, but I've always had the thought that I wish I could write. How am I ever going to learn how to write if I don't actively learn how? I was so scared before to attempt a writing class, but this year, in addition to my volunteering at the festival, I plan on attending a bunch of panels, presentations and even went so far as signing up for the Master Class with one of the guest of honour, C.C. Humphreys. With Kevin Hearne and C.C. Humphreys as the 2018 Guest of Honours, and an amazing lineup of authors, publishers and writers, I'm sure the festival this year will be even more inspiring than last year's. And if you are wondering what a Master Class is, well it's an intensive writing workshop that should hopefully help me figure out how to write a novel. I still have to figure out where my volunteer hours for the festival will be, and since I've seemed to fill up the majority of my time with panels and presentations, I suspect that I might not be able to attend all of these, but the following is my hopeful schedule of events that I will be attending at the Creative Ink Festival for 2018. Write a novel - from first inspiration to final edit - then submission! Have you got a book in you? Have you always wanted to get it out into the world but lacked the confidence? Then join award-winning, bestselling author Chris (C. C.) Humphreys, for an intensive writing workshop that will help you banish the critic, release your creativity, and introduce you to the secrets of novel construction, character development and sheer storytelling fun. With plenty of exercises to get the fingers and brain moving, and a step by step analysis of what makes a successful, exciting piece of fiction, participants will leave the workshop with the beginnings of a novel and a road map to help you finish it. You have an idea for a character, now you have to figure out how to flesh out the character. Research isn't just for non-fiction writers. Every piece of fiction, no matter the genre, will contain details which, if not accurate, will throw a reader out of a story. But how do writers do research? When do they start? When do they stop? How do they wade through the quagmire of overwhelming information and choose just the right pieces to weave into their stories? We love those types of story worlds where we are so pulled in, we feel the dampness of the air on our skin, and hear the croaking of the spider-goats in the fields. But how can we shake our imaginations loose and do that? Adam Dreece shares his lessons and thoughts from bringing his steampunk meets fairytale, post-apocalyptic fantasy, gritty sci-fi future, and other worlds to life. In 2018 there are a lot of good reasons to write short stories. The form is enjoying a resurgence of popularity and it’s an excellent path to reaching readers and connecting with publishers. Writing short is also a way to test-drive other genres and stretch your creative muscles. More than fifteen of KT Wagner’s short stories are published or pending. She’ll share her perspective and approaches in this class. 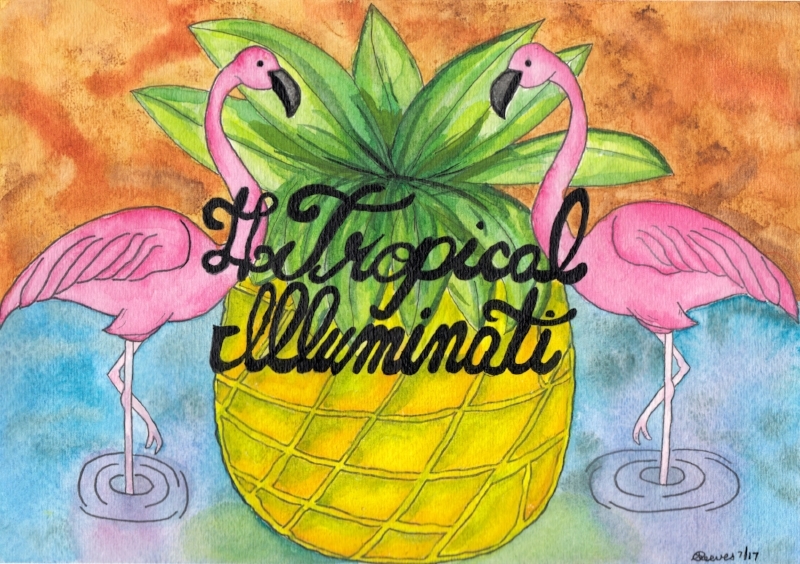 (I don't even know what this one is yet, it just sounds like something that I could use). Plot or Character: Which Comes First? What is most important to a good story: a fast moving and/or engaging plot to carry you away, or characters that you can identify with, or at least care about? You can have one without the other, but when should you? And, does plot emerge from character needs and desires, or are they born to serve the plot? How do you convince your readers that your imaginary friends are real … at least in your story? Our panel of editors and publishers listen to anonymously read story openings and comment on why they would or would not wish to consider the complete work. Bring the 1st page of your manuscript (please leave your name off the page!) to be read aloud and receive comments from our panel of authors and editors. This event is both fun and educational -- don’t miss it! Good stories don’t just happen, they’re built, and as architects use blueprints, writers need sound structures to create effective emotional journeys for their readers. In this session we’ll explore the structural elements shared by all stories (from linear to unconventional), uncover the differences between plot and structure, and give you the tools to build emotionally satisfying stories again and again. I learned most of the essential elements of writing fiction (in particular) by doing improvisational theatre. Like all theatre, improv is, at heart, storytelling. As is fiction writing, so it’s not surprising to find ways they connect. In this participatory workshop, we use improv games and exercises to explore character, setting and plot in a new way. Be prepared to get up and move (with appropriate accommodation for disabilities, of course). 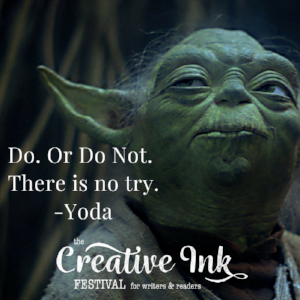 It's not too late to attend the 2018 Creative Ink Festival yourself. Online registration is available until May 4th, 2018 and then you can plan on purchasing your membership at the event itself after May 4th. Weekend passes are as low as $80 if you purchase online or $100 at the Festival. Check it out! Let's see, where did I last leave you all? January was my first month of my challenges, and I was challenging myself to bring breakfast to work. It was a successful month, and I was happy to report on my last blog post that I was successful for the month of January. That particular challenge has now turned into an actual habit, which was my main goal, and I'm proud to say that since January 1st, 2018 I have made and brought my breakfast to work every single day. I didn't post an updated for my February challenge for various reason (see below for more details), but it was to make and bring a lunch every day to work (notice a theme here?). I was also successful in this challenge, and brought my lunch every day. I have also managed to turn this challenge into a habit, and since February 1st, 2018 I've made and brought a lunch to work every single day. For March, I ended up switching my challenge. Originally I was going to have March be a vegetarian month, but since I was having a lot of trouble with overindulging in sweets, I changed it up and made it a "no sweets month". I mostly succeeded with this challenge. There were 3 occasions where I broke my no sweets challenge. The first was because a good friend was in town, and it was going to be the last time I would see her for a while since she was moving away. I ended up going to high tea. It was delicious, and I felt a reasonable excuse to skip my no sweets challenge for that event. The second time I broke my no sweets was on Pi Day. I just had to have pie on Pi day (March 14 aka 3.14). I sorely regretted this decision later as I crashed from an overabundance of sugar while I was curling that evening. It was pretty terrible, I was shaky and having the sweats and no matter how delicious the pie was, it wasn't worth feeling that terrible. The last and final time I broke my no sweets rule for March was near the end of the month. I had purchased some Girl Guide cookies when I was done in Seattle to watch the musical Hamilton (Yes, Hamilton is just as amazing as everyone says it is and I was super lucky to get the chance to see it in person). For Canada, we don't have as many options in Girl Guide cookies as the USA, I couldn't resist trying some of the Samoas I've heard so much about. I ended up eating 4 of them over a few days. All in all, March, while not 100% successful, did help me overcome the urge to eats a bunch of sweets for no particular reason. Stopping and thinking about the sweets, did I really want that sweet?, has made me think about them differently, with my brain as opposed to my tongue. Occasional the tongue takes over, but I'm finding that most of the time my brain will prevail. With three months under my belt in my monthly challenges experiment, I have to say that the hardest thing I have noticed so far is that I spend an inordinate amount of time thinking about and planing my food. Between food planing and my new exercise regime I'm exhausted. Exercise? Yup! A while back (read a few years ago), I hurt my knee. Slowly over a few years, I gained a bunch of weight, which made the pain I was dealing with even worse. Multiple x-rays, doctors and incorrect physio I finally made it into a sports medicine specialist who was able to help. Part genetic and part previous injury, the specialist gave me a bunch of exercises to do and my knee is slowly starting to feel better. Until I started having some relief in pain, I didn't actually realize how bad my knee had gotten. I was experiencing two levels of pain, this sharp intense stabbing pain that would come on suddenly and the go away, and this low level always there pain. Until the absence of pain, I didn't even notice that I had a low level of pain constantly in my knee. That pain was being drowned out by the sharp sudden stabby pain. I have a long way to go, both with strengthening my knee and losing some weight, but after almost three years of it slowly getting worse, I'm finally on the right track...now I just have to stop getting colds and hurting myself in other ways (pulled a muscle in my leg :( ) and I'll eventually be right as rain! Any ways, that is why my blog posting and my book reviewing has petered down to practically nothing, I have only so much mental energy in me, and at the moment, I'm spending most of it trying to get healthier. I'll do my best to write a bit more often, but I make no promises. January was the very first month in my A New Year New Challenge Experiment that I am trying this year. The Reason: I don’t get up early enough to eat breakfast before work, and when I do, my stomach is still sleeping. I’ve never been much of an early morning breakfast person, I usually need to be awake for a little while (an hour or two depending what time in the morning it is) before I feel like eating. If I eat to early, my stomach just gurgles away for the rest of the day and I feel bloated and yucky. Usually by the time I get to work, I’m ready to eat breakfast, so most of the time I will stop somewhere on my way into the office to purchase breakfast, be it a muffin, bagel or Egg McMuffin. Something I always find delicious and fresh but always costing money. The Anticipated result was: Less rushing in the morning when I wake up since I will not need time to buy food. Less money spent. The Actual Result: Success! This first challenge of mine turned out very successful. I found that pre-making items to pull out of the freezer was super easy. It did involve a little bit of pre-planning, for example I had to sort out in advanced what I was going to make AND plan the time to actually make said items. Michael also found some benefit to eating some of the items from the freezer as easy snacks for his work day. I also had an unanticipated result of taking my lunch to work as well. As you may remember, taking a lunch to work everyday was going to be my February challenge. However, since I was already making breakfast, and preparing dinner most nights (with Michael's help of course) it seemed kind of silly to me not to start bringing my lunch to work now, in January. I contemplated changing my February challenge to myself since I've already achieved success in bringing my lunch, but in the end I decided to keep it as is. The whole idea behind my experiment is to create new and healthier habits. Now that I have one month under my belt of making and bringing breakfast into work, I will continue to keep this challenge a habit. I've noticed that mornings are a lot less stressful not that I always know what breakfast will be and on those odd mornings where I want a few extra minuets of sleep, I don't have to forgo food. Next Up: February Challenge ~ Bring Lunch to work for the month. I am now half way through the month of January which is the very first month of my A New Year New Challenge Experiment that I created. It’s been a very interesting few weeks and I have discovered some new challenges that I am working on overcoming to be successful. As you may recall, the first challenge to myself is to make and bring my own breakfast to work instead of buying food on my way to the office. To date, I have been successful in this endeavour. I’ve made muffins and scones and have even packed up cereal once or twice to take to the office. Since the first two weeks have gone so well I expanded on this challenge to also make sure that I eat breakfast on the weekends, within a reasonable amount of time after I wake up in the morning. What I wasn’t expecting when I started my making breakfast challenge is to start bringing my lunch to work as well. Bringing my lunch to work was going to be my challenge for February, but I started early. It seemed that if I was already concerning myself with making a breakfast to take to work, it wouldn't be that much extra work to pack a lunch as well. I contemplated changing my monthly challenge for February. I wondered if I would actually be challenging myself in February if I was already bringing my lunch to work. In the end I decided to keep the challenge the same. The whole point of these challenges is to try and create some new healthy and money saving habits and the longer I do them, the more successful I will be at continuing to do them. My new collection of cookbooks. I mentioned that I had discovered some new challenges so far in January and they all revolve around a previously unwritten goals of losing weight and saving money. If you follow my Instagram, you will have noticed that lately I’ve been posting a lot of pictures of my dinners. In a future Random Musings blog post I plan on writing, I will give you my history of my struggles with weight, but for now I will just say that I want to lose some weight. I didn't want to go on some fad diet, been there done that, but I did want to adjust my portion sizes. Posting my dinners on Instagram is a way to help me keep up with my smaller portions as well as remembering what I ate and who knows, maybe someone else will benefit too from my pictures. One of the challenges I’ve experienced so far with portion control is that when I’m in charge of cooking and serving my own food (Michael cooks too, BTW, I'm not doing it all alone), I’m pretty good with the portion sizes. If I go out to eat though, all semblance of self control seems to go out the window. I’m getting real tired of asking myself, while I’m rolling home, “why did I eat so much?”. At home I started serving my meals on smaller plates. Looking at that small plate that is filled with food is easier for me to eat less than the exact same amount of food on a large plate. I don't know why that is, if I eat that same amount of food off a bigger plate I still feel hungry. There is something about not seeing the bottom of the plate because it's covered by food that makes my brain think it has had enough to eat. I’m not starving myself or depriving myself of any goodies (as you will soon see when I post the recipe for the delicious Double Chocolate Stout Brownies I made), but I am have smaller amounts of everything. Which is putting me closer to actually eating the recommended serving sizes of various foods. Now I just have to train myself not to eat everything that’s on my plate when I go out to eat. So as you can read, the first two weeks of January have been quite successful in relation to taking my breakfast to work, and I’m also setting myself up for success in my future challenges. Have you given yourself any challenges this year? Every post on my social media, when it’s related to my A New Year New Challenge Experiment, I’ve been using the hashtag #anynce. I encourage you to use that hashtag also if you’d like to join in on my challenge or even make your own up. Did you know that you can follow a hashtag on Instagram now? It’s pretty cool. Loki supurrvising the baking process. At the beginning of each year, the talk starts to happen about new years resolutions. There is something about the start of each year that makes people want to make a firm decision to do or not to do something that they've been thinking about. Quite often these resolutions are related to diet or exercise, but can often include broader ideas such as trying something new, talking to strangers, getting a new job. Most of the time these resolutions are broken. That was ages ago that I made these resolutions and I asked that question. The answer I came up with back then was to stop making new year resolutions. Stop setting myself up for failure. Stop making myself feel bad. Start changing things when I thought about it. Start setting myself up for success. Start doing things that make me happy. Why did I have to wait until the start of each year to make changes? The answer was I didn't. My fundamental personality is still the same as that person who used to make resolutions, but I’m a completely different person than I was then. That initial thought about why I was doing something that was making me feel bad made me question a lot of things in my life. Over the years, I’ve worked on becoming a happier person. I worked on setting myself up for successes and not failures. I still tried things and I still failed at them a lot of the time, but I enjoyed the process a lot more when it wasn't a resolution. That brings me to this year, two thousand and eighteen. New Years day found me making carrot muffins. I was watching the Great Canadian Baking Show, and as with watching the Great British Bake-Off, I became inspired to bake something. I had already done a whole bunch of baking over the last week as I was on holidays from work and my freezer is literally stuffed to the brim and unable to fit in anything else, so whatever I was going to make needed to be small and useful and able to convince Michael of the absolute need for it, despite our lack of freezer space. After a week off from work, I thought that I could start my first week back to work right, and make myself some carrot muffins for breakfast. As the muffins were sitting on the cooling rack, I had a brilliant idea! I should make baked goods for breakfast to take to work all the time. Most mornings I roll out of bed with enough time to get dressed before I have to leave home and get to work on time. I usually end up stopping somewhere on my way to work to buy a muffin or a bagel. The odd morning will see me get up with enough time to eat breakfast at home, but those are quite rare. Having something that would be a quick and easy grab from the freezer would give me an extra 10-15 minuets in the morning that I no longer needed to use stopping to buy breakfast. Then my brilliant idea of baked goods for breakfast morphed into my other great nemesis. A bagged lunch for work. I’ve never been good at packing my lunch, and can remember a great many times as a child taking an apple and a box of chocolate milk for lunch instead of taking the time to actually make something. So my next thought was if I did breakfast for an entire month, why not lunch for an entire month. From there it spiralled into trying out something new every month for an entire year. With a time limit of the month, my hope is that each month I will succeed every day, without any cheats and that I will be setting myself up for success instead of failure. Plus, the added bonus is that each month I will be creating content for this site, because I will write how the month went. It’s a win win! I wanted to introduce you all to my new friend! Last month, after years of procrastinating, I finally got a new tattoo. From the moment that I got my first tattoo I knew that I wanted to get a second one. It took me over a decade to decide what I wanted as my second tattoo, where I wanted it located on my body and who would be the tattoo artist. Let me tell you, finding the right artist was probably the hardest part. I knew that I wanted to get some sort of watercolour type design and after years of researching I found the perfect artist! Watercolour tattoo's are tricky. They look great to start with, but over the years, as the colours fade they can really begin to look dingy and not very nice. If I was going to be putting something on my body that I would have for the rest of my life, I wanted it to look good. I knew that if this was the tattoo route I was going to take, I needed to find the right artist to take on the challenge. I don't remember how I found Phil Kwan, random internet search maybe?, but when I did find him, I started following him on social media and I loved all of the work he had posted on his Instagram account. About 4 years ago, I got up the courage to book a consultation appointment with Phil, but due to a lack of funds and some pretty high nerves, I chickened out and cancelled the consultation. That was a decision I would regret for years because once I was ready to re-book, Phil wasn't taking on any new clients. I lost my chance. Thankfully this turned out to be a good thing. You see, the only thing that happens with artists over time is that they tend to get better, and Phil was no exception. I continued to follow Phil on Instagram and was blown away by his art. It seemed to me that every tattoo he posted was just more beautiful than the previous one. After a few years of waiting, I decided that it was finally the right time to take the plunge and get my new tattoo. Since Phil wasn't accepting new clients, I let if be know to a friend of mine that I was ready to take the plunge and if they knew of any other watercolour tattoo artists, to let me know. I ended up booking a consultation appointment with a lovely lady, whose work I also enjoyed. Her work was different than what Phil had, but she had some really nice steady lines (a sign of a good artist) and some great colour work. I scheduled a consultation appointment with her to discuss what she could put together and see if it would fit with the image that I had in my head, that I was unable to fully articulate to anyone, including myself. This is one of those moments in life where "it is just meant to be". Shortly after I booked the consultation appointment with the lady artist, Phil opened up his books to new clients! This didn't mean he would take me on as a client, it only meant that I had a chance he would. I filled out his form explaining as best I could what I was looking for, thankfully, the design I wanted wasn't on his "I'm not interested in doing the following at this time" list. I got in! I was so excited. Phil wanted to book a consult/tattoo appointment all in one. I had so much confidence in his work, that I accepted on the spot, not wanting to pass up the opportunity a second time to have him do the tattoo I had been waiting over a decade for. I was a nervous ball of nerves in the months leading up to my appointment. I kept questioning my decision to actually get this tattoo done. Why are brains like that? This was something I've been thinking about for years and yet I was second guessing the decision. The tattooing day finally arrived! With only a little bit of instructions from me on what I would like (a swimming penguin on my arm), Phil came up with some lovely artwork. My first tattoo from start to finish took maybe, at the most, 30 minuets, and most of that was set-up. It was quite small and very simple, black ink. My new friend took just shy of two hours to tattoo onto my arm, although I was at the studio for a lot longer between the consultation and setup. I'm not going to lie, getting a tattoo hurts, however, surprisingly, it didn't hurt as bad as I was expecting. I'm not sure if that was because I had built of the pain so much in my head, the location I was getting it done is less sensitive then my previous tattoo or I was just too nervous to feel the full pain. In any case, it wasn't nearly as bad as I was expecting. Near the end of the tattoo however, my arm sure was getting sensitive and I couldn't wait until it was over. As with any tattoo, you can see from the initial photo, taken moments after the tattoo was completed, to the 1.5 months later photo, that some fading has occurred. This is a natural effect of tattoos. The reason I love Phil's work is because of the extensive black-line work that he puts into his art. When the colour's do fade somewhat over time, the black still holds everything together and keeps it beautifully cohesive. For a few days after getting the tattoo, dealing with the healing discomfort and itchiness, I kept asking myself, why I was putting myself through this pain and discomfort. As the itchiness went away, and the healing progressed I remember why I did it and I couldn't have asked for a more beautiful or more "me" tattoo than my new penguin friend. Brand New Tattoo ~ I LOVE it! 1.5 months healed ~ I still LOVE it!